This debut EP on Traum comes from an upcoming artist from Berlin. Robert Mycer has worked already with underground labels and has put a lot of passion and devotion into this energetic EP. It praises the fascinating early days of raw techno, when people were easily won over by music they had never heard before. The early days of the Tresor club in Berlin, when Caspar Pound aka the Hypnotist played alongside Mona Lisa Overdrive and Human Resource.It taps on these elements and connects them to his own feelings, his experience of nightlife in Berlin. That his EP has a modern sound architecture going along these references is true as well. "Rave Like It's 92" starts with hysteric screams and dives into the world of sonar sounds, open hi hats and an approaching wall of sound that easily installs a collective spirit. Euphoric piano chords climb up the ladder and take you by the hand. Welcome to the hedonistic world of techno in 1992, heartbreaking, fun-loving, ecstatic dancing. Mycer draws from all these sources and creates an adaption for us and shows us what is missing today. 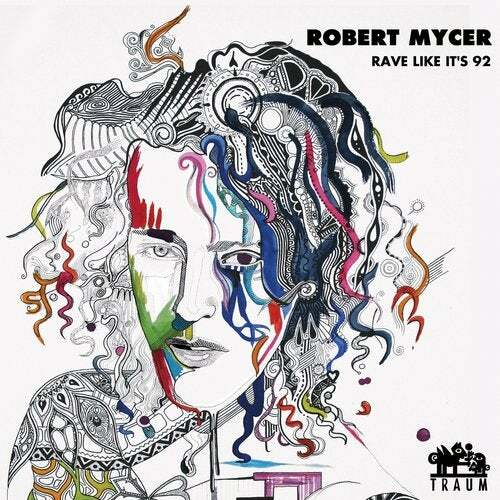 The tempo is the slow tempo of now and the strength of bass and kick never had that impact in the 90ies but Mycer still keeps that romantic and naive side which is brilliant. "If You're Waiting For A Sign This Is It" sounds like the whispering of New Wave band Suicide meeting the slashing percussion of the Acid Junkies and the strings of Derrick May... to a certain degree. Followed by the rattling drum computer percussion of a Steve Poindexter. Sounds like a medley but it is not. Rather an exciting journey between here and then. And when the track stops it leaves you in the cold, exactly like the opening track "Rave Like It's 92. "Bass Besiegt Regen" is a track for when the batteries are running low but the mind is totally awake. Feels like early after hours when one is being exposed to the dazzling bright light outside. Victoria! "Don't Forget To Go Home" marks the time when the body thinks about going home but the mind says "no"! The track describes a constant struggle between both of these sides and when you think the theme will repeat itself to the end, then Robert makes a big change. Also this is 1992... not to care about taste policies. Very different is the remix by Heerhorst of "Rave Like It's 92". Heerhorst has been in the techno circuit for some time and has strengthened and optimized the beats of the original and has tuned down the euphoria to a contemporary feeling of cool and techno realism. The beats are like bullets here, be aware... it is a killer. Hassan Abou Alam has released several times successfully on Tour de Traum and has remixed the track "Don't Forget To Go Home" in a fashion unfamiliar to his fans. It has turned out to be a perfect mixture of his ambient flavored music and dance floor functionalism!